Everything that you need to get started making one gallon batches of wine! 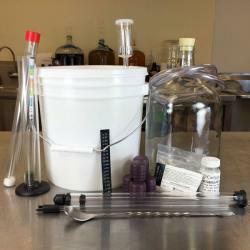 This Vintner's Best one gallon wine making kit is perfect for use in conjunction with Winexpert one gallon wine kits and will help you craft one gallon of perfect wine every time! Perfect for those who are just getting into winemaking or for those who don't have the space for multiple 6 gallon fermenters. 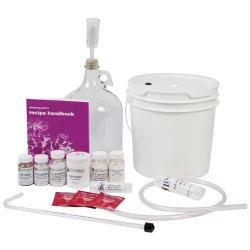 Let the Vintner's Best One Gallon Wine Making Equipment Kit sweep you away to the wonderful world of winemaking! This product comes with all the equipment to make one batch of wine. You will also need a batch of ingredients to make your desired wine. Make sure to choose the one you want, when adding this item to your cart!